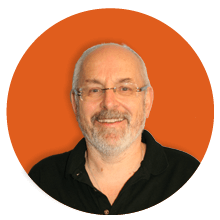 We all want the easy option – so long as it’s effective, accurate and brings about the same high quality result. 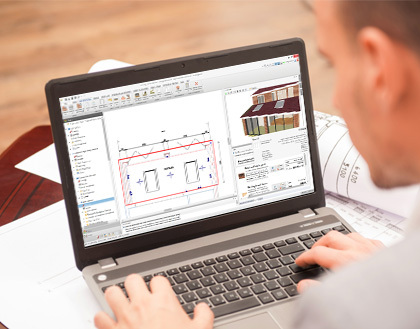 Well if you want the best in construction optioneering software without the need to make life difficult, time-consuming and costly, welcome to the BuildingWork construction software platform. 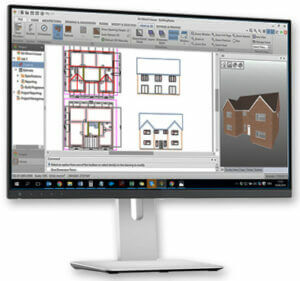 BuildingWorks is a seamlessly integrated practical BIM software suite to design, evaluate the energy performance and estimate the cost of residential construction. One of the many features which sets BuildingWorks apart is that you can see the immediate impact. 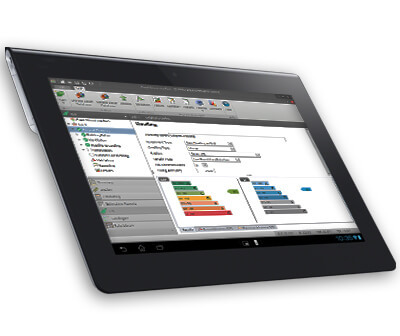 You can analyse on the go the effects of your design and specification decisions on project cost and energy performance. As you draft your plans straightforwardly and professionally in the BuildingWorks Design module you are specifying how it is built using the on-board library of BIM objects. This allows you to choose between different thermal efficiencies of the various construction objects and systems by U-value. Combine this with the BuildingWorks Estimate module and you get live analysis of costs. Add on BuildingWorks Energy Performance* for Standard Assessment Procedure (SAP) and you’ll get a full indicative SAP assessment too! As well as, a massively used system in the UK. This allows you to draw your construction project using simple CAD tools, and watch the estimate build on screen. It builds up the cost of the materials, the labour involved, rates, thermal performance and much more. And then culminates in a 3D model, a full Bill of Quantities (New Rules of Measurement) and detailed costings. BuildingWorks – across the board – is such a clever, agile tool that evaluating different options to solve a specific problem can be undertaken very easily. BuildingWorks cleverly integrates data-rich model and project information databases to build a virtual representation of a project and all of its assets, whether you’re building a housing development, a one-off new build or an extension. You can test the feasibility of a project in terms of cost and energy efficiency. By linking the Estimate module with the Design module within BuildingWorks, you can keep an eye on costs as you work, allowing you to make truly smart optioneering decision. This logic applies to any aspect of the build at any stage of the build. If you need to change anything, at any time, you can do so effortlessly. This will allow you to work with an up-to-date estimate. Whilst also giving clients current quotes that reflect any changes, whilst keeping track of the project. So consider your options and give us a call on 0117 916 7880 to find out more. Don’t miss out on this unique desktop subscription package and its role in optioneering for performance improvements. You can also leave us an email at hello@getbuildingworks.com or you can sign up for a free trial and 1-2-1 demonstration.